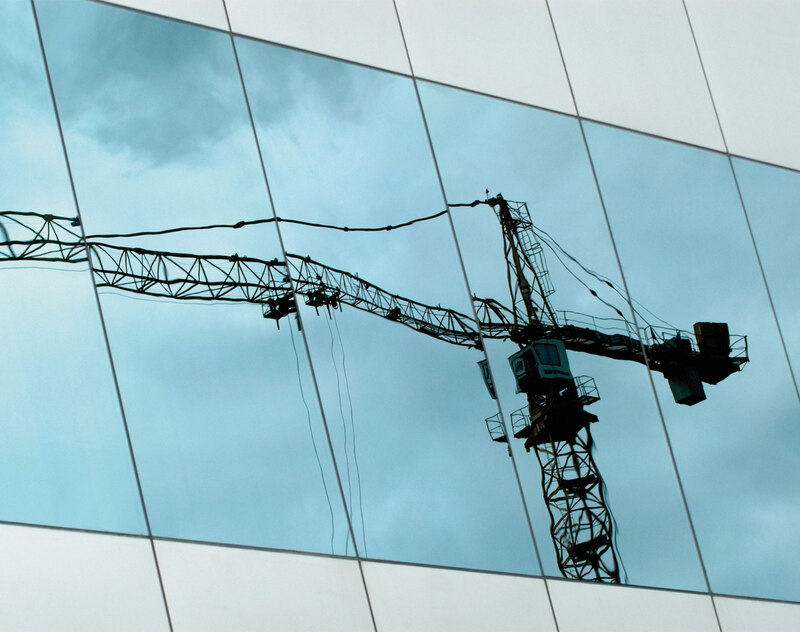 The High Court has recently ruled that main contractors and architects may rely on the independent contractor defence to defeat claims in negligence brought by management corporations. The court’s inquiry focused on whether the contractor was performing services as a person of business on his own account (the “Independent Business Test”). The extent of the control exercised by the employer over the servant (the “Control Test”) was regarded as an important factor to be considered. The case of Management Corporation Strata Title Plan No. 3322 v Mer Vue Developments Pte Ltd and others  SGHC 38 is important to construction professionals and stakeholders in the building and construction industry. It has previously been held by Singapore’s apex court that developers are entitled to argue that they had delegated work to competent independent contractors as a defence to the claims in negligence for the allegedly negligent acts of their independent contractors. This case is groundbreaking because it examines when an independent contractor defence may be available to main contractors and other construction professionals, e.g. architects. The Management Corporation Strata Title of “The Seaview Condominium” (“MCST”) commenced legal action against: (a) the developer, Mer Vue Developments Pte Ltd (“Mer Vue”), (b) the main contractor, Tiong Aik Construction Pte Ltd (“Tiong Aik”), (c) the architect, RSP Architect Planners & Engineers (Pte) Ltd (“RSP”), and (d) the mechanical and electrical engineer, Squire Mech Pte Ltd (“Squire Mech”), for numerous building defects. The MCST’s case was based on breach of contract, tort of negligence and breach of statutory duty under the Building Maintenance and Strata Management Act (Cap 30C, 2008 Rev Ed). This update focuses on the claim in tort because of its ground-breaking implications. As a complete defence to the MCST’s claim in tort against them, Mer Vue, Tiong Aik and RSP each pleaded the independent contract defence – in other words, they were not vicariously liable for the negligence of their independent contractors in the execution of their contracts. It is pertinent to note that, as with the norm in the construction industry, the main contractor, Tiong Aik, had sub-contracted several items of work to various nominated sub-contractors (“NSCs”) and domestic sub-contractors (“DSCs”). The architect too had engaged Squire Mech for professional mechanical and electrical (“M&E”) engineering services and Sitetectonix Pte Ltd for landscaping architecture design services. In response, MCST relied on the Building Control Act (Cap 29, 1999 Rev Ed) that was in force at the material time to argue that Tiong Aik and RSP owed the MCST non-delegable statutory duties as an exception to the independent contractor defence. The general principle is that an employer is not vicariously liable for the negligence of an independent contractor or agents in the execution of his contract. However, an employer may be vicariously liable for the acts of its employee/servants. The fundamental test is whether the contractor was performing services as a person of business on his own account (the “Independent Business Test”). If he was, he would be regarded at law as an independent contractor. The extent of the control exercised by the employer over the servant (the “Control Test”) is an important factor to be considered in the application of the Independent Business Test but it is not the sole determining factor. Whether and how far the contractor had an opportunity of profiting from sound management in the performance of his task. The Control Test focuses on the right to control how the work was done, i.e. the manner in which the work was to be actually executed by the contractor. Generally, if a contractor performing services did so in the course of an already established business of its own, the application of the fundamental Independent Business Test is “easier” as this strongly points to the contractor being an independent contractor and its contract being a contract for services. The issue before the court was simply whether Mer Vue (“Developer”), RSP (“Architect”), Tiong Aik (“Main Contractor”) may each rely on the defence of independent contractor. This required an examination of the relationships between the various parties. The starting point is an examination of the scope and nature of the works delegated by the employer to the contractor which is relevant to the Control Test and ultimately to the question of whether the contractor had performed the services as a person in business on his own account. The court found on the basis of both tests that the architect was indeed an independent contractor of the developer. With respect to the Control Test, the court found that the developer had not in fact controlled the manner in which the architect executed its work although the owner developer was entitled to tell its architect what to do in terms of the project brief, defining its requirements and making certain aesthetic decisions that affect the development’s commercial value and strategic positioning in the market. Therefore, an independent contractor, might, by the terms of its contract, be subject to the directions of its employer in terms of what to do, but, apart from contract, it was its own master as to the manner in which its work was to be performed. The court also found that the developer reviewing, approving and making suggestions as to the architect’s work did not, on the facts, go so far as to establish the requisite control to impute an employer-servant relationship. In coming to its conclusion, the court was cognisant of the fact that RSP had to (i) comply with Mer Vue's project management system, (ii) seek instructions and approvals and confirmations with Mer Vue, and (iii) have due regard to economy and costs in their design while still being within the standard of quality approved by Mer Vue. In the court’s view, these instances did not go towards establishing control over the manner in execution of RSP’s design and supervision responsibilities. More crucially, in applying the fundamental Independent Business Test, the court found that RSP was clearly an independent contractor of Mer Vue. The fact that it was performing architectural and consultancy services in the course of an established business of its own, as a body corporate, with its own employees and taking on separate financial risks and responsibility for its own management was pertinent. There was little controversy in the court’s finding that the main contractor was an independent contractor of the developer on the facts. The fact that Mer Vue had made decisions regarding the aesthetics of the development, and directed Tiong Aik to obtain insurance from a particular insurance company, did not establish the requisite control under the Control Test. The Independent Business Test was also made out as Tiong Aik was clearly a separate entity that had contracted with Mer Vue under the Main Contract to undertake the construction work for the Development. In resisting the availability of the independent contractor defence to main contractors and architects, the MCST argued on public policy grounds. In particular, it contended that it would have little or no recourse if the defence applies. It also cited the difficulties in identifying indeterminate independent contractors and the potential problems in finding a duty of care in law owed by these independent contractors to the management corporation. These are real concerns and have practical ramifications. Notwithstanding the availability of as-built drawings and other data about the development, it may not be clear to an MCST who is responsible for which works, e.g. who supplied what materials and finishing and who undertook installation of them? This has a bearing on who the negligent defendant is. On the other hand, the main contractor and/or the construction professionals, e.g. the contract administrator (in this case the Architect), are likely to have a better idea compared to the MCST. The court disagreed with the MCST’s arguments and was of the view that the fundamental fault-based principle in the tort of negligence in that liability laid with the party that had engaged in the alleged negligent acts should not be easily abrogated. Further, it found the Court of Appeal’s reference (in Management Corporation Strata Title Plan No 2297 v Seasons Park Ltd  2 SLR(R) 613 (“Seasons Park”) at ) to Lord Bridge’s comments in D & F Estates Ltd v Church Commissioners for England  1 AC 177 at 210 that there was no legal principle to disentitle developers from relying on the defence of independent contractor albeit in the context of liability for a dangerous defect in the work caused by the negligence of an independent contractor, and that such social policy would be best left to the legislature to determine, to be instructive. Therefore, there were no public policy objections to the architect and main contractor availing of the independent contractor defence in the present case. Consequently, the court found that the NCSs and DSCs were independent contractors of the Main Contractor on both the Control Test and Independent Business Test. With respect to the Control Test, the court did not lose sight of the nature of work sub-contracted, i.e. they were largely specialist in nature and at times proprietary to the sub-contractor, and that the main contractor did not control the manner the sub-contractors carried out their work (the sub-contractors, notwithstanding overall project supervision and management by the main contractor, decided how their work was to be carried out). The fact that the sub-contractors would have to prepare their method statements and detailed shop drawings, and decide on the number of people and time required to complete the works pointed towards a lack of control on the part of the main contractor. Further, the court was of the view that on-site supervisory control (e.g. coordination and organisation of sub-contractors in terms of overall sequencing of workflow at the construction site as well as the right to direct sub-contractors not to deviate from pre-approved shop drawings or contract specifications and requirements during the process of checking) by main contractors, subject to the facts of each case, is unlikely to be sufficient to establish the necessary control over the manner of work under the Control Test. With respect to the Independent Business Test, the court found that the fact that the NSCs and DSCs were body corporates in already established businesses would weigh heavily in favour of them being independent contractors. They had also hired their own employees to carry out their sub-contracted work, provided their own equipment and taken on their own separate financial risks in this project as separate companies. Squire Mech & Sitetectonix as independent contractors of the Architect, RSP? Having found that the architects were not precluded from relying on the independent contractor defence, the question turned to whether Squire Mech and Sitetectonix were indeed independent contractors of RSP. The court, after applying both the Control Test and Independent Business Test, answered in the affirmative. The fact that the Squire Mech was a separate established business from the RSP and had its own engineering practice with involvement in various notable projects pointed heavily to it being an independent contractor under the Independent Business Test notwithstanding the fact that RSP is a shareholder of Squire Mech and that the two companies have common directors. In this connection, the court observed that such practices are not rare among companies in the same industry and this alone ought not establish control over the manner of work performed by the contractor. With respect to the Control Test, the court found that Sitetectonix’s expertise was outside RSP’s and so RSP only played the role of coordinating and interfacing work among the various consultants, and had not in fact controlled how Sitetectonix’s work was carried out. With respect to the Independent Business Test, the court found that Sitetectonix was clearly a separate business, hired its own employees and undertook fully the financial risk of its business and operations. Hence, it is an independent contractor. Even if it is established that an independent contractor has been appointed, employers, main contractors and architects must still have fulfilled the duty of exercising proper care in appointing an independent contractor. Failure to do so may cause them to be personally liable for their negligent selection or vicariously liable for the negligence of its independent contractor. In the present case, the court found that proper care was taken by Mer Vue, Tiong Aik and RSP in their selection of their respective contractors. The court had regarded the contractors’ track record, working relationship with the employer and the fact that a formal tender exercise was engaged. Hence, employers, main contractors, sub-contractors and other construction professionals should ensure that (i) they undertook a reasonable selection process, or acted reasonably, when appointing their sub-contractors and (ii) their actions are documented. As an exception to the independent contractor defence, MCST argued that sections 9 and 11 of the Building Control Act created statutory non-delegable duties owed by the named project architect from RSP, as a Qualified Person, and Tiong Aik, as a Builder, under the statutory scheme of the Building Control Act to ensure that the entire development was in order. This was rejected by the court. The court held that it is a question of statutory construction whether any statutory non-delegable duties are imposed. It found that the extent of non-delegable duties of architects and main contractors under the Building Control Act is limited to ensuring building safety and construction in accordance with the relevant approved plans, building regulations and provisions of the Building Control Act and the terms and conditions (if any) imposed by the Commissioner of Building Control. Since there was no allegation of a lack of compliance with any of the above, there was no implication on the independent contractor defence. The court also noted that non-delegable duties may arise in common law. These are premised on a primary and personal non-delegable duty owed by the employer to the claimant. These included instances where the employer commissioned extra-hazardous acts and non-delegable duties of employers for the safety of employees. However, the court also took the view that non-delegable duties are exceptional and its categories should not be easily expanded. In this regard, the court rejected the possibility of creating a new general category of non-delegable duties for construction professionals under common law. Instead, it took the view that the better approach is to consider the reasonableness of delegation of professional responsibilities and not create a general category. The court observed that if a construction professional has agreed to perform the task in question personally, delegating the whole or a substantial part of his or her professional duties to another will not be reasonable. On the other hand, it will not be unreasonable to delegate and rely on another competent, qualified and well established specialist sub-contractor if the construction professional’s contract either expressly or impliedly permits delegation and sub-contracting of the construction professional’s work to specialist sub-contractors, particularly in the areas which are not within the expected expertise or specialisation of the construction professional. This will be a question of construing and/or interpreting the terms of the employment of the construction professional and the facts of each case. In the present case, the Architect Agreement expressly allowed RSP to engage other consultants and Mer Vue had expressly approved five named consultants (all of whom specialise in areas which RSP might not have full expertise in). Thus, the court found that RSP as a construction professional had not unreasonably delegated any of its professional design duties in those specialised areas. Despite the availability of the independent contractor defence, developers, main contractors and architects ought be alive to the possibility of them being primarily liable for damages (as opposed to being vicariously liable for tort committed by its servants). This can happen when the employer interferes in the manner of the independent contractor’s performance of its work, for example, when it overrides the expert recommendations of its independent contractor against the latter’s advice or it instructs its independent contractor to perform the work in a manner that is against the latter’s advice. Joint liability may also be imposed on an employer who in the course of the supervision condoned negligence on the part of its sub-contractor after knowing that the sub-contractor’s work was being done in a defective and negligent manner. In the present case, the court found no evidence of such interference or authorisation or ratification of the alleged negligent acts of the sub-contractor. This case establishes the availability of the independent contractor defence to main contractors (and ostensibly sub-contractors) and other construction professionals, e.g. architects. Whether a party may rely on an independent contractor defence in a claim in negligence against them depends on the facts. However, employers, main contractors and other construction professionals may nevertheless be liable if they have interfered in the manner of the independent contractor’s performance of its work. Similarly, they cannot escape liability (albeit on a different basis) if they had not taken proper care in appointing the independent contractors. At the heart of the court’s analysis is recognition that the tort of negligence is fundamentally fault-based, i.e. liability lies with the party that has engaged in the alleged negligent acts. Hence, the court was not persuaded by the argument that a plaintiff, in this case the MCST, may not know who is the negligent party is. Therefore, a plaintiff must take care to investigate the cause of a defect to form a view on who it should sue. If in doubt, the plaintiff should consider other ways to get the necessary information, e.g. pre-action discovery.